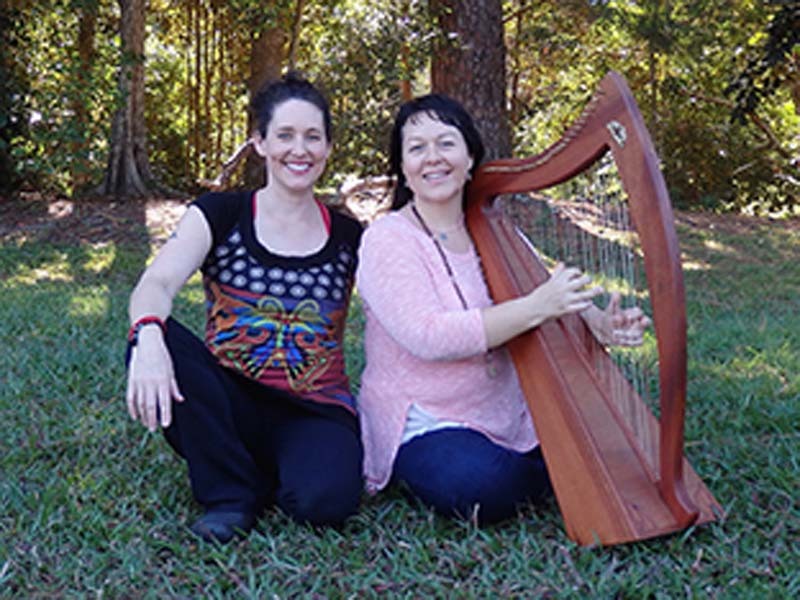 Kate and Sherrelle have worked together for many years, intimately weaving music and yoga to bring you a full sensory experience. This signature class offered by Kate and Sherrelle is a unique experience of yoga and sound immersion. Move slowly through a flowing sequence of postures designed to stretch and open your body, and you will leave restored. Explore connection and self-discovery through community and partner connections. Bring a friend or meet one here – and there’s a surprise, so wear your brightest yoga clothes. Start the day with your feet on the earth and a dynamic sequence of vinyasa yoga led by Sherrelle, accompanied by the sweet sounds of live music from Kate. Accompanied by Kate, Sherrelle will guide you through the experience of receptivity and balance required to be with another person through movement and mindful awareness.